Learning Nursing? 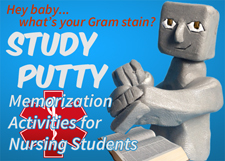 What Do You Need to Cram? In addition to the free, editable nursing brains of our last post, we would like to offer the lab work sections by themselves to make it easier for you to create your own custom report sheets. They are as follows, downloadable as gif files. If you are using Microsoft Word to create your brain, it should be a simple matter of selecting “insert picture from file” from the program’s menu and selecting the gif file where you have downloaded it on your hard drive. Gif files should be compatible with all (or most) modern word processors and image editors. Simply right-click on “GIF” to download. Love all the stuff on the site! Thank you very much! Now excuse my ignorance (I’m still in nursing school), but what lab values is the open square for? Thanks for your help! Glad you’re finding some of our material useful! Though we collaborated with nurses when we originally developed these fishbones, we’re tech people here and not nurses, so I’m not sure how helpful I can be. I did a little research and couldn’t find the open box (#5) listed as a lab shorthand anywhere else. Since we’re missing the common Y-shaped CBC, I kind of think it was supposed to be that, originally. I can’t tell you how it got turned into a square, though. If I find out the open square is used for something, I will let you know.